E-commerce is such a complex and quickly changing area. 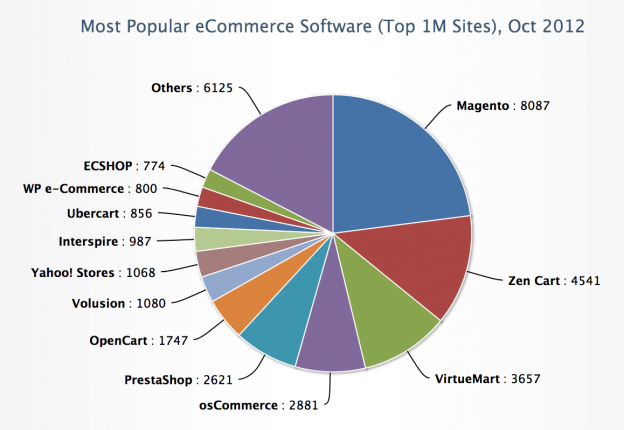 Magento is leading the way with the majority (around 25%) of the market. When I first heard of Magento a few years ago, it was still in beta yet looked so impressive and powerful. I’m delighted to see that it has pulled ahead of the pack. This entry was posted in Blog, E-Commerce and tagged e-commerce, infographic on November 7, 2012 by admin.